Enjoy fun in a galaxy far, far away with the Monopoly Star Wars 40th anniversary Special Edition game. 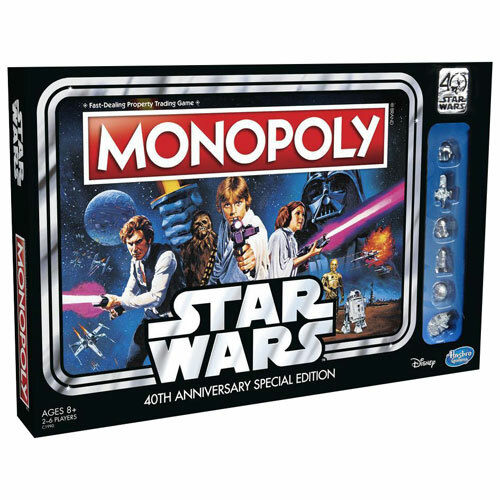 It features classic Monopoly gameplay with properties depicting scenes and characters from Episode IV: A New Hope. Players can choose alternate rules for that pit Empire against Rebellion for an exciting nostalgic showdown.